First we had Ms Rhonda Weikert kicking some bootie in the Target Race at the BOTB. 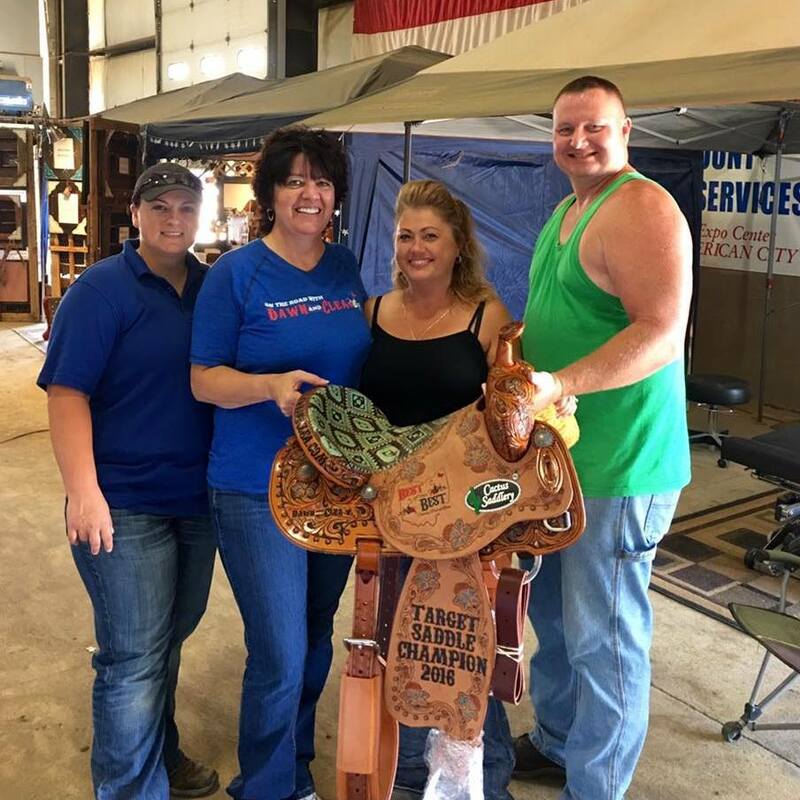 Rhonda knew she was close and at the moment she realized she was the winner her eyes filled up with tears and she said “No Way” it was one of those moments were we say to each other and the crew “this is why we do these shows” congrats Rhonda and we hope you add another saddle to your collection in 2017. We want to thank Cactus Saddlery for always make a beautiful saddle for the shows. Then we went on to have the 3 Show Go round out the year with the following results. Yes it took awhile to get these babies calculated and posted, thank you Julie for all your help and dedication to the cause. As for the 3 Show Go for a $30 entry fee in return you get some good cashola. Not to bad of a payday! Always looking for new ways to get the contestants more money! Congrats to all. FYI – Checks will be written today and mailed this week. The below results are ones that qualified for the 3 Show Go not all people who entered are listed. Previous Roadie Points are up! No Seriously they are!